This handsome clock was serialised in Model Engineer in six instalments commencing 6th May 1966. 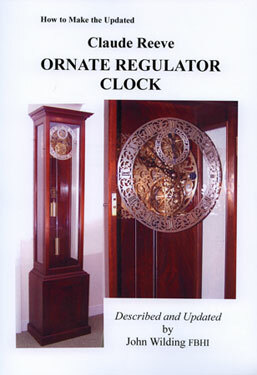 It is in fact a loose copy of the famous pickering Regulator one of which be seen at the headquarters of the British Horological Institute at Upton Hall, near Newark. This book contains 95 illustrations, and a complete set of 15 updated computer drawn full size plans now with all the articles to make the clock.